A line of Teflon® coated forming mandrels for catheter fuse welding and tipping operations that are designed to optimize I.D. quality and production speed are available from Applied Plastics Co., Inc. of Norwood, Massachusetts. 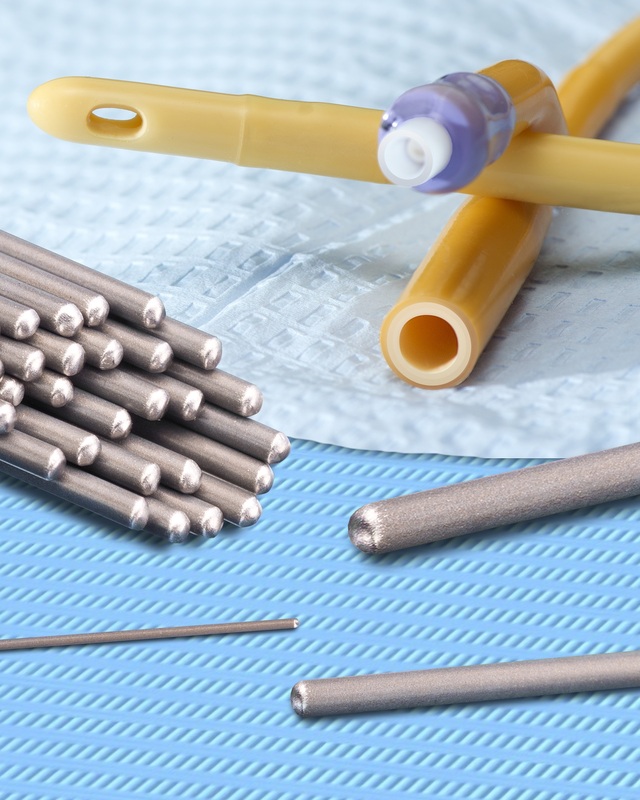 Applied Plastics’ PTFE Natural® Forming Mandrels feature a smooth surface that provides a 0.5 dynamic coefficient of friction to prevent sticking, block tubing from shrinking, and simplify catheter removal. Allowing over 25% elongation without flaking or failure, these extrusion mandrels are chemically inert and can operate up to 315°C (600°F) continuously. Offered in stainless steel or nitinol, Applied Plastics’ PTFE Natural® Forming Mandrels can be supplied precut in 0.005” to 1.0” dia. sizes with ±.0001” to ±.0005” tolerance, depending upon size. PTFE Natural® grey is available with zero PFOA. A proprietary surface preparation process before applying the PTFE Natural® coating assures the coating will not flake or crack.